Kate Douglas Wiggin was born in Philadelphia on September 28, 1856. As an adult she devoted her life to the welfare of children many of whom were badly treated and thought of as more a source of cheap expendable labour than minds to be nourished and expanded. By 1878 she had started what was then the first free kindergarten in San Francisco. Of course as well as being active in social reform and education she is a very well known authoress. Rebecca of Sunnybrook Farm being her most credited creation. Here we publish a less well known but equally admired book that captures life from a youthful perspective. In the spring of 1923 Kate travelled to England as a New York delegate to the Dickens Fellowship. There she became ill with bronchial pneumonia and died, at the age of 66. Her ashes were taken home to Maine and scattered over the Saco River. Here we publish her delightful volume 'A Cathedral Courtship'. 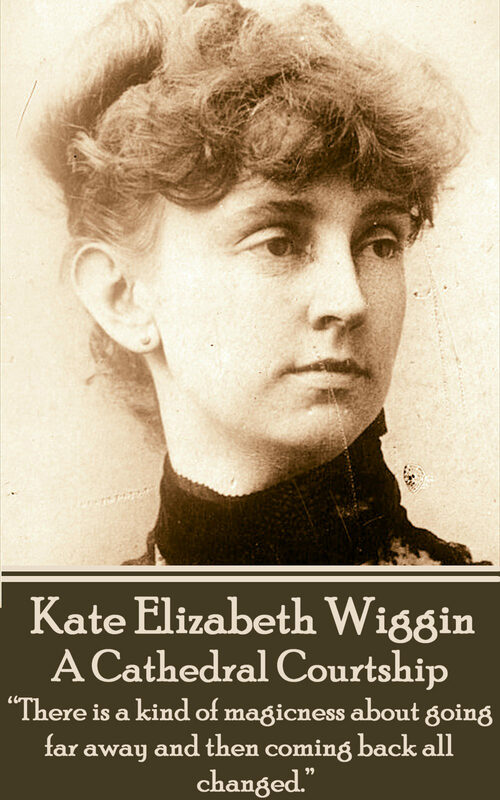 Otros ebooks de KATE DOUGLAS WIGGIN.